Ventana” sign, van transportation with cold beverages to Palapas Ventana (in the town of La Ventana, where we will be basing). Move in, get settled, happy hour, group orientation and dinner. Day 2: 7:00 am breakfast, head to Cerralvo Island in panga boats to have potential dolphin and whale encounters, have an exciting snorkeling adventure with friendly sea lions. We will have a picnic lunch on the island, the option to fish and then a second stop for world-class snorkeling over a beautiful reef. This evening we will have a special dinner with Mexican dancers to entertain us. 7:00 pm dinner. 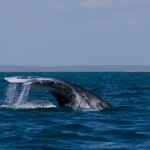 Day 3: Depart at 5:00 am, driving to Magdalena Bay to spend time with the grey whales. We will be in panga boats. 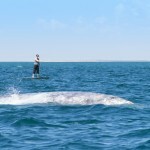 You will have the option to paddle board in the lagoon where the mama and baby whales spend time. Paddle-board or just stay in the boat, whatever suits your comfort level. 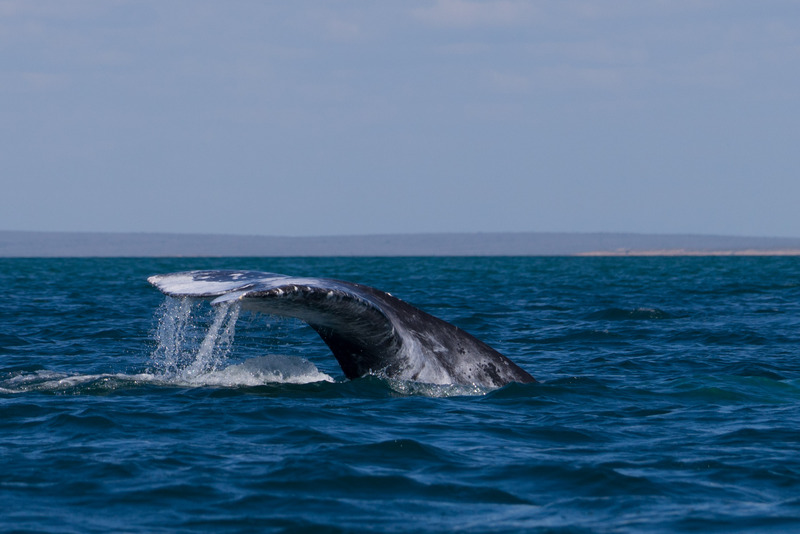 Regardless, it is an up close and personal experience with the grey whales. Breakfast and lunch will be “on the go”. After our time with the grey whales we will have the opportunity to munch on all-you-can-eat scallop aguachile. Yummy! 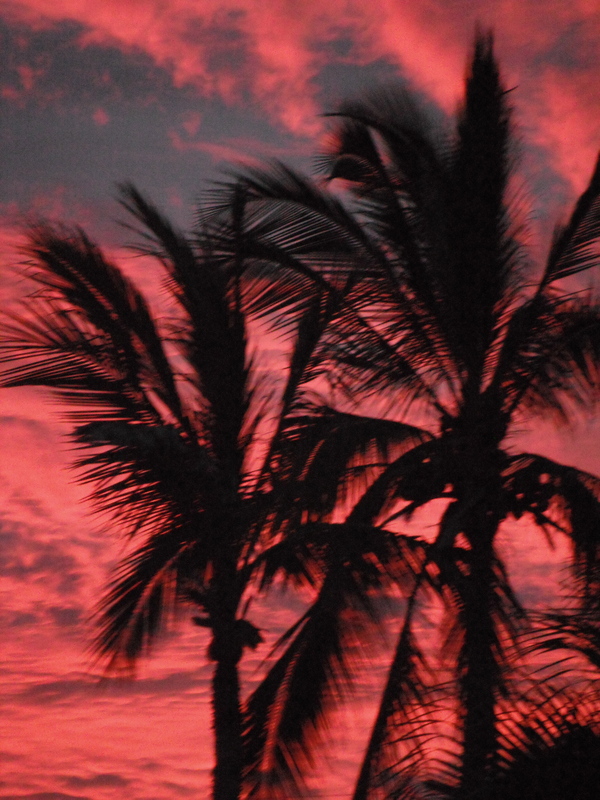 Then it is back to Palpas Ventana in La Ventana for dinner. Day 4: 8:00am breakfast, a casual day with the option to paddleboard/kayak, snorkel or we can hike to a local cave painting site. 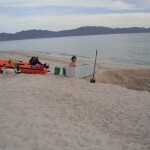 Later in the day we will head up to the Punta Gorda (hot springs beach) about 4 miles north of Palapas Ventana. 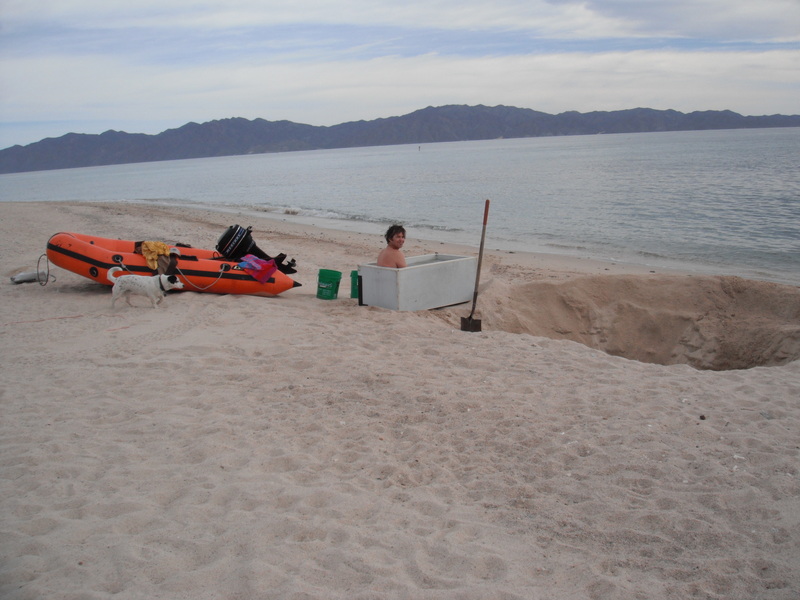 There are naturally occurring hot springs on the beach edge and we will be able to have a beachfront sand hot spring “pool” to soak in (4pm to sunset). 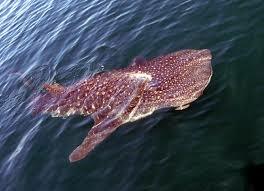 Then we will head back to Palapas Ventana for an informative whale shark slideshow while enjoying dinner and drinks. 7:00 pm dinner. 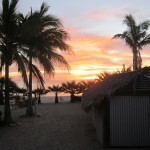 Day 5: 7:00 am breakfast, head to La Paz Mogote for an educational day assisting whale shark researchers. 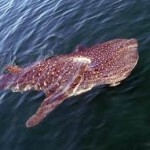 You will have the opportunity to swim/snorkel with the whale sharks. Next: lunch on the malecon, with a variety of delicious seafood options. We will then head back to La Ventana and spend the afternoon doing a “down-winder” on paddle boards/kayaks. (We will get dropped off on the beach about 4 miles north of Palapas Ventana using the wind and the swell to move us “down wind”). 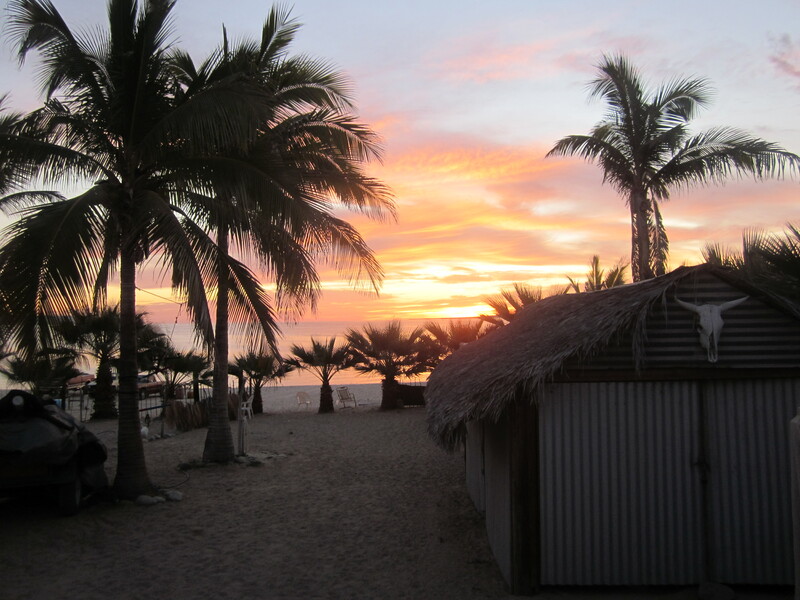 Our paddle will conveniently end at the Palapas Ventana beach. *You also have the option to spend that time relaxing and hanging out at Palapas Ventana in the pool, hot tub or on the beach. 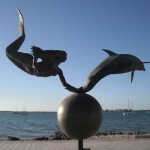 If some folks prefer to spend more time in La Paz in the afternoon sightseeing and shopping, that is also an option. 7:00 pm dinner at Palapas Ventana or optional Hot Dog Stand Tour; quite a unique, tasty and cultural experience. Menu items include bacon wrapped hot dogs and “super burros” which are steak burritos with all the fixings. Day 6: Leisurely morning start with a 9:00 am breakfast, then off to the Pacific side of the peninsula. 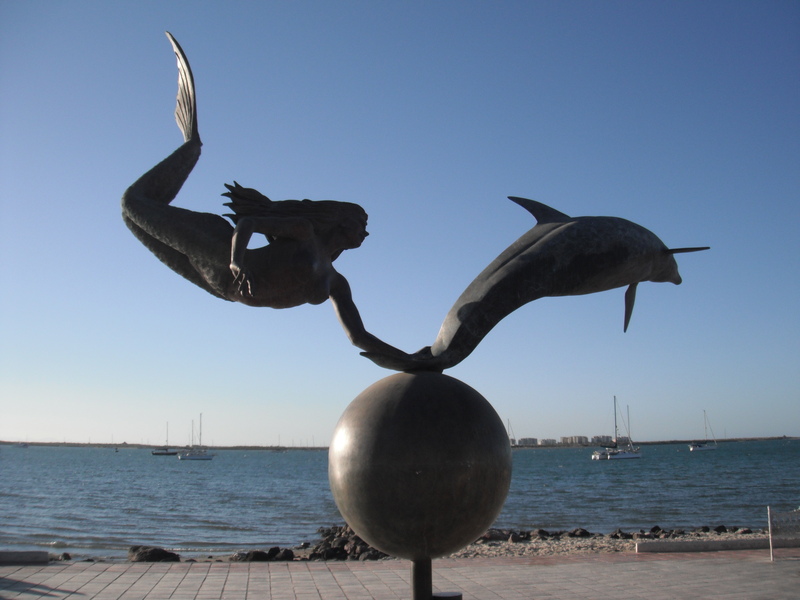 Head straight to the Pacific Ocean or you have the option to do some morning site seeing and shopping in the artsy town of Todos Santos. We will be spending our day at Cerritos Beach. Optional activities while at Cerritos Beach include, surfing (or learning to surf), boogie boarding, massages and adult beverages on the beach. Then we will drive back to Palapas Ventana for an early dinner. Next something a little different: Backhoe Olympics!! Yes, this means you, operating a backhoe, Wild West style! Have a great time laughing at yourself and your friends. It’s a hoot to say the least. Day 7: Breakfast, one last opportunity to enjoy a morning snorkel, paddle board, kayak or just relax (assuming you have your things packed and ready to go). 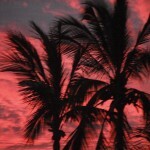 We will drive you to Cabo to catch your flight home. Want to extend your stay and just take few days to relax or sign up for some other local activities? 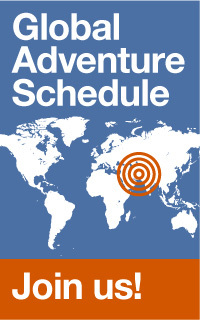 Or are you interested in customizing an additional adventure? Let us know and we will gladly “hook you up”. This is our home-away-from-home and we have you all dialed in!